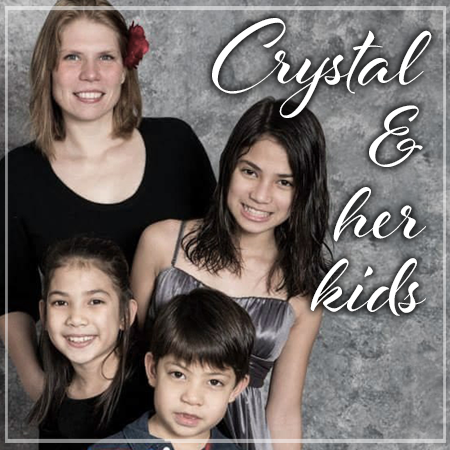 After years of mission work in another country, Crystal and her three children returned to the United States planning to stay with friends and family until they could find a place of their own. Determined to earn her teaching certification, Crystal found schoolwork very challenging while couch surfing and sharing other's homes. The children were struggling with the unstable placements and it began to negatively impact their development and well being. Mom knew a change needed to occur sooner rather than later so they all moved into a local shelter that offered resources to assist in obtaining permanent housing. Finding a home proved beyond difficult as she had no current employment, her only income coming from college grants and loans, having no recent local rental history and listing the shelter as their current address on applications. Hope came in a promise from HUMI, if Crystal could find a place there would be help with a deposit. She decided to call an old landlord from before the mission trip, who happened to have an opening a few blocks away from the children's school and would work with her based on their previous relationship if she had money to put down as a deposit that day. Crystal and the children have lived in the same home 3 years this December and are excelling in all areas. She finished her coursework, began student teaching and was offered a position with a district a few months later. The children continue to explore their many talents with the local ballet and theater companies, staring in the Nutcracker and several plays throughout the years. Crystal earned her teaching certificate with several endorsements and in 2018 will receive her Master's Degree. 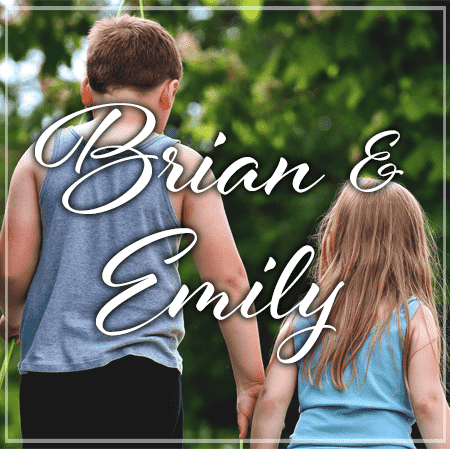 Brian, his sister Emily and their parents knew all about living in motels and shelters, camping in tents and in their car, staying with friends and relatives and sleeping in the ER waiting room when there were no other options. They were very excited to finally have a place to call their own, and after 2 months all the rooms in the apartment were filled with furniture, decorations, and necessary items to feel more like home. The children started to excel in school, mom received a raise at her job and everything started to feel safe and secure. Then their father's company reduced his hours and until the mom's next paycheck they could not pay all the rent. The familiar fear of being homeless threatened the family once again, causing the children to get in trouble at school. While being questioned by the principal, the children mentioned the possibility of eviction and the homeless liaison was contacted. With one call to HUMI the crisis ended, and the children went back to focusing on school and just being kids. The family rented there without another issue for the last 5 years, but are now in the process of buying their first home. A father and his 8 year old son relocated to Washington State from Louisiana in search of appropriate medical care for the father's specific type of cancer. When they arrived, their planned host fell through and they found themselves sleeping in the local family shelter. After 3 months, the father was finally approved for a studio apartment and by working with a variety of community supports, he only needed $350 from HUMI to be homeless no more. The family was able to move closer to the hospital into a two bedroom apartment when the six month lease expired by using their returned deposit. Unfortunately, the father passed away and the son moved back to Louisiana to stay with other family members. He finished high school and returned to his father's hometown where he now saves lives as a firefighter. While his life has taken many turns, he shares that he will "always cherish the last two years together in their own home." Karen was 8 months pregnant with their third child, when her husband took the car and savings, leaving this stay-at-home mom with no way to pay the rent. She started taking the city bus to different community agencies and churches every day searching for assistance towards their housing crisis. After waiting in lines, she was repeatedly told that unless she had an eviction notice from her landlord there was no help available. Although she had already gained employment with a cleaning company, Karen was concerned the landlord would add extra fines and fees and perhaps even evict her family if she requested the necessary proof in order to receive support. Relatives and friends contributed what they could afford, but she was still missing over half the amount and the deadline resulting in late fees was the next day. Frantic, the mom called the oldest child's school counselor and in desperation she relayed the entire story. The school was able to help with a small portion but it was not enough to cover it, so they notified the homeless liaison and she contacted HUMI to request the remainder of the rent. 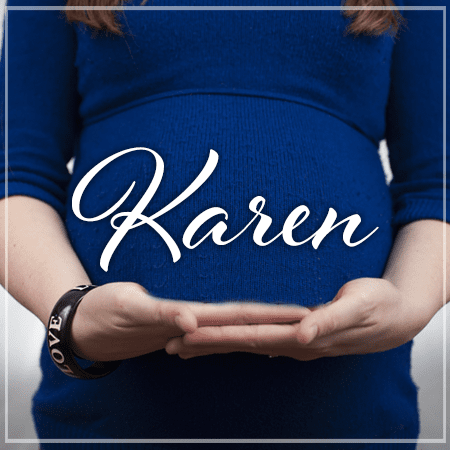 Karen suddenly went into labor 4 days later and was relieved to return HOME from the hospital with a beautiful healthy baby girl. 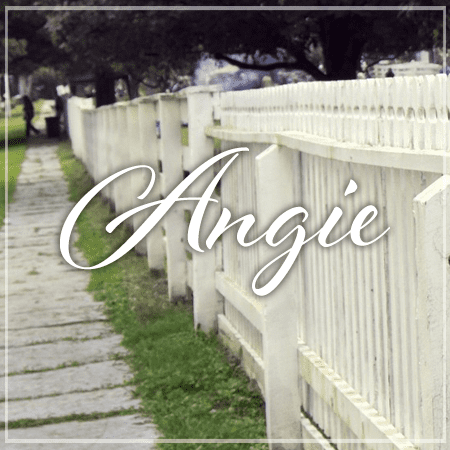 Angie and her husband lived with their three children in a large home with a massive backyard surrounded by an actual white picket fence. They had everything they needed and more, which enabled Angie to be a stay-at-home mom and take the kids to all of their extra activities that they could easily afford. Until Dad got laid off, and although he received unemployment, it was not enough to cover all their bills. He actively searched for any new position for several months but to no avail, as their savings dwindled away trying to maintain the household. Angie got a part time job waiting tables and the kids had to quit all their extras for the good of the family. Soon the weight of the bills become too overwhelming and the bank began the foreclosure process. With no family near to help and not wanting to burden their friends, they had no choice but to sell the rest of their belongings, that hadn't already been pawned to make ends meet, and the family moved into the local shelter. The Dad's unemployment check combined with the Mom's part time job meant that they earned slightly over the qualification amount for many programs and mom considered quitting just to better meet the criteria for assistance. Instead they saved while in the shelter and adjusted to sharing space with other families also in a housing crisis. Two months later, dad found a job that provided better than unemployment and mom started working full time. Shortly afterwards, they got approved for a 2 bedroom apartment and had enough in their savings to cover the entire move-in costs, except $400 towards the deposit. No community resource would help them with the deposit, due to the belief that it would be returned to them in the future and perhaps used for an unintended purpose. Except Help Us Move In. HUMI knew all this family needed was a small push toward their goal. Since getting back into stable housing, the father landed a position more suited towards his career path and the family finally became homeowners again, 8 years after they lost it all. They no longer have a massive yard with a white picket fence, but they realized their greatest gift came in an experience that brought their family closer together and gave them all a new appreciation for their many blessings. The entire family now volunteers with community agencies that serve families experiencing homelessness. Steven, a 17 year old junior in high school, took care of his disabled mother who could no longer get around without assistance. When she had a severe medical situation and had to stay in the hospital for an extended period, he had no way to pay their rent or other bills and they were evicted with most of their belongings thrown away. Mom was released out of the hospital and they slept in her van for many months. He attended school regularly but couldn't concentrate on his studies. He was constantly worried about his mom's health being in the van parked in the school parking lot. He would go check on her throughout the day and sneak out most of his free school breakfasts and lunches, so she could eat as well. Mom was barely able to drive due to her disability and it only became more difficult the longer they lived in the van. Steven was 10 months shy of 18 and therefore needed to attend driver's education classes that cost over $300 to obtain his driver's license to legally drive the van to a new sleeping location each night and then back to the school parking lot every day. This cost was covered and after getting his license, a part time job opened up in a local restaurant. When the owner discovered their plight he allowed them to remain parked in the lot and gave them all the left over food from the restaurant at closing. They were able to maintain this van life for a few more months, until Steven saved enough money to move out of the van and into stable housing. HUMI assisted with the remainder of the deposit and they moved into a small studio apartment that seemed "like a mansion" compared to the cramped van. 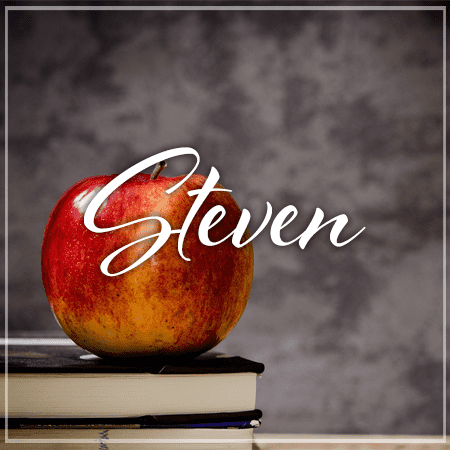 Mom's health improved and Steven's grades improved because of it, as well as the fact that he could finally stop focusing on their survival and begin to put that energy towards finishing school. He graduated and went on to nursing school, getting hired almost immediately as a hospice nurse. Steven recently became a first time homeowner, where he now resides with his wife, their newborn son, and the happiest grandma that you have ever met. 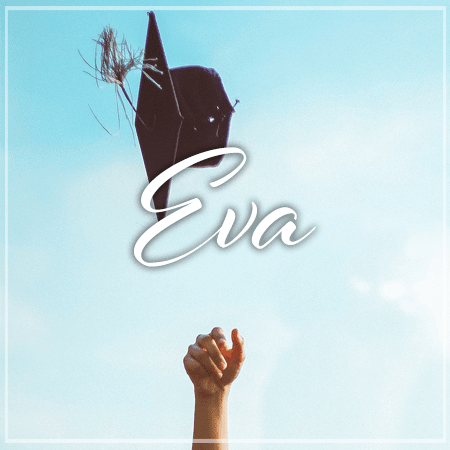 An Honor student in high school, Eva was working two part time jobs while "couch surfing" with different friends every night to escape her abusive parents. She decided to file for emancipation and began the long and tedious process, with the final requirement being stable housing. When she persuaded a coworker to let her rent the mother-in-law house on her parent's property, HUMI helped with the deposit. Eva graduated with a 4.0 and received a full scholarship to her dream school in Paris. 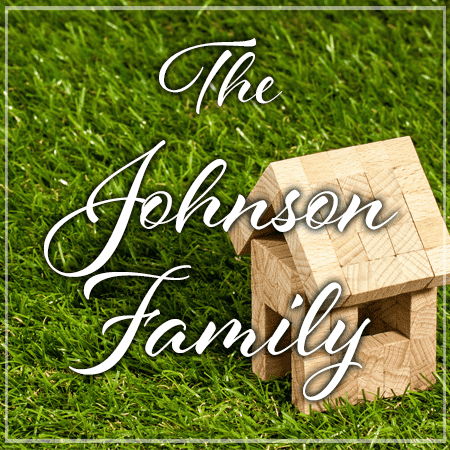 The Johnsons had always paid their bills on time, having great credit and a perfect rental history, but they feared that it was all about to change when mom was laid off due to cut backs in the company. She filed for unemployment and it was not enough to cover all their debts. As mom searched for new employment, the family started selling their treasures to maintain their household. Finally after 3 months, mom started at a new company, but rent was due again and she didn't receive her first paycheck for a month. Running out of objects to sell, friends or family to lend them money, and they did not qualify for any help from resource agencies without an eviction notice, the parents' last resort was to ask the school for assistance despite concerns that it would bring negative attention to their children. The homeless liaison contacted HUMI for support and the remainder of the rent was paid in full for the following month, preventing another family from becoming homeless. Destiny was a fifth grader who had never experienced a stable home or any regular night time residence for longer than a few months at a time, mostly due to her mom's struggle with addiction. All that was about to change, she was getting ready to move into her very own room for the first time in her life. Thanks to her Mom's hard work and dedication in becoming sober and completing an employment training program that secured a decent paying job. HUMI assisted with the last of the move-in money and the Mom signed her first ever rental lease. Morgan always dreamed of having a family that had reunions, gatherings for all the birthdays and holiday celebrations, but instead she spent the last 8 years moving around in foster care placements. She had liked some of the foster parents that took her in, but Morgan never stayed anywhere long enough for it to really feel like home. In the middle of her senior year, she turned 18 and aged out of the foster care system, which meant that the people she had only recently stayed with would no longer get support checks and they asked her to leave. Not having any money, a job or a car, she felt lost and thought quitting school and working full time was her only option to survive. Morgan met with the Homeless Liaison to discuss resources and make a plan when she discovered there was a 3 to 6 month waiting period for youth housing programs. She had a list of friends that were willing to let her stay on different nights and the school provided a city bus pass and all the basic need items to get through the end of the school year. 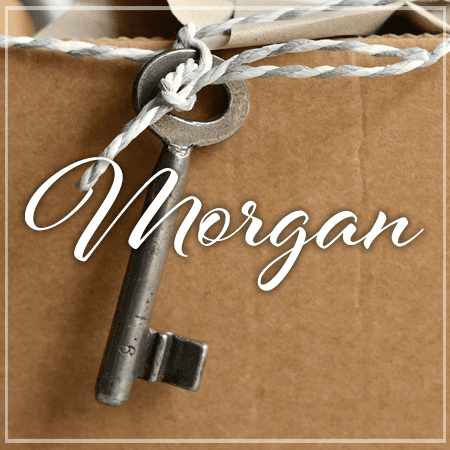 When Morgan's name came up for the youth housing, she still needed help with a small deposit, which HUMI paid, and she moved into her first apartment. After her high school graduation, Morgan went on to college and is now a social worker helping other aged-out foster teens. 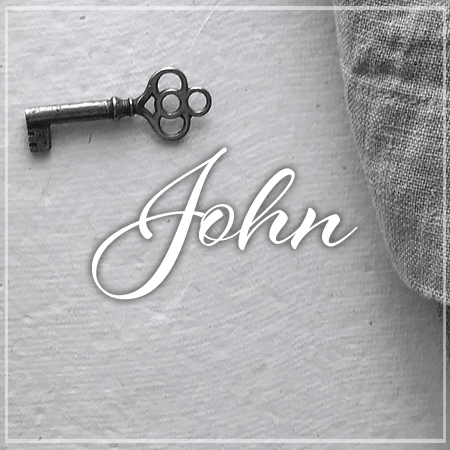 When John's mom died in a car accident, his father fell into a deep depression and was unable to care for him at the time and sent him to stay with relatives in another state. Surrounded by his grief, John also suffered depression that eventually turned into aggression against his relatives and he found himself living on the streets. In trying to reach his dad, he discovered that his father had voluntarily committed himself and could not be reached for over a month due to policies of the hospital. John was alone, with nowhere to go and nobody to call for help. After a few nights in the woods, he started hanging around the other "street kids" and learned where to get all his needs met in the community. Running with the fast crowd was fun and protected him but he knew he had to enroll in school or this was going to be his life forever. In school, he was able to get referrals to youth programs and within 3 months was on his way to stability. John found a part time job and maintained good grades, despite sleeping outside every night. Once he had a landlord approve him, HUMI provided the deposit and John moved into his new apartment. He graduated high school and then went back to his hometown to track down his now homeless father. 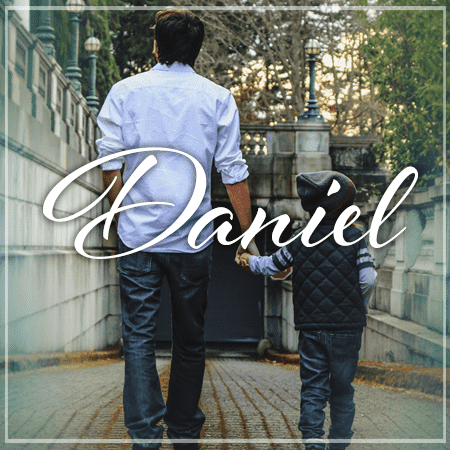 When he located his dad in a shelter, they returned to John's home and as a family they began to truly heal from their loss.